Ronn Wiegand is a wine professional with more than 30 years of wine experience. A widely published author, Wiegand also possesses two of the world’s top wine credentials — Master of Wine (1991) and Master Sommelier (1986) — and was the first person in the world to hold both titles. He remains the only American to pass the entire Master of Wine exam on the first attempt. A widely experienced wine taster, Wiegand has tasted more than 200,000 wines over the past 40 years, travels regularly to wine regions around the world, and been a wine judge at professional wine competitions in Europe, South Africa, New Zealand, Turkey, and the United States. In 1988, he began a restaurant industry wine periodical, Restaurant Wine, the first journal of its type in the world. 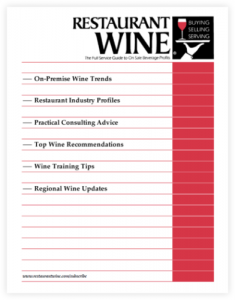 Now in its 30th year of publication, Restaurant Wine covers wine trends in restaurants in North America and provides hundreds of hand-picked wine recommendations from around the world for sommeliers and wine directors with dynamic wine programs. Restaurant Wine is circulated to thousands of members of the hospitality and wine industries throughout the United States and several other countries. As a wine journalist, he has published hundreds of wine articles, which have appeared in more than 20 different publications, including Vogue, The Wine Spectator and Decanter. From 1986-1991 Wiegand was wine columnist for the San Francisco Examiner and from 1995-1999 wine columnist for Nation’s Restaurant News, a highly regarded hospitality industry newsmagazine, which is circulated weekly to more than 80,000 restaurants. He has appeared on several television broadcasts, including Good Morning America, and been quoted on radio and in print (Newsweek, Business Week, Wall Street Journal, Time, New York Times, San Francisco Chronicle, and many others). Wiegand and Brenda Boblitt, also created and published a unique series of educational wine publications, TasteTour Wine Guides (booklets) and Wine Charts (posters), which have become best-sellers among wine aficionados and members of the wine industry. An active wine consultant, Wiegand has also provided wine event consulting and business consulting for many companies, including Barclays Bank, Visa International, American Express, Walt Disney World, and National Distributing Company. Ronn Wiegand is a wine professional with more than 30 years of wine experience. A widely published author, Wiegand also possesses two of the world’s top wine credentials — Master of Wine (1991) and Master Sommelier (1986) — and was the first person in the world to hold both titles. 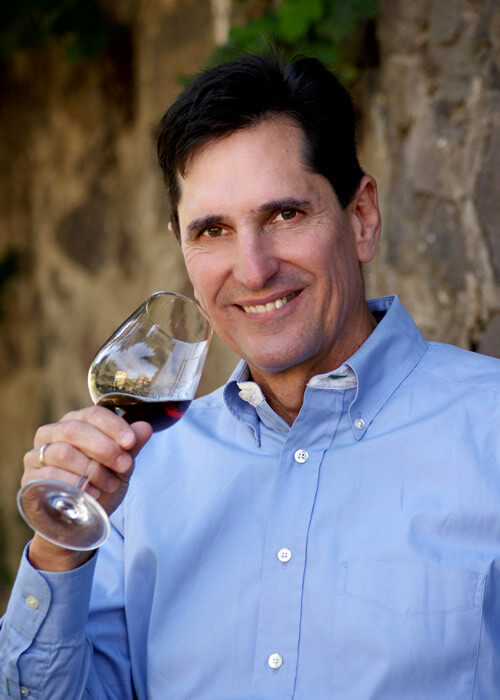 He remains the only American ever to pass the entire Master of Wine exam on the first attempt. Mr. Wiegand is also publisher of Restaurant Wine magazine and creator of TasteTour wine training guides. Restaurant Wine is a professional wine newsletter for restaurants, wine trade, and wine drinkers. Subscribe and purchase back issues at restaurantwine.com. TasteTour is a series of artistic wine guides and charts of the world’s finest wines for instant expertise. Purchase wine guides or charts at tastetour.com.